Satin shirt has back zipper, decorative lacing, appliqued "R"
"Holy Halloween!" When Gotham City finds herself in some form of trouble from one of the nasty rogues that inhabit its streets she calls upon only two heroes to come save it, Batman and Robin. These caped crusaders make it their mission to keep the citizens of their fair city safe from the likes of the Joker, Riddler, and even the stunning Catwoman. 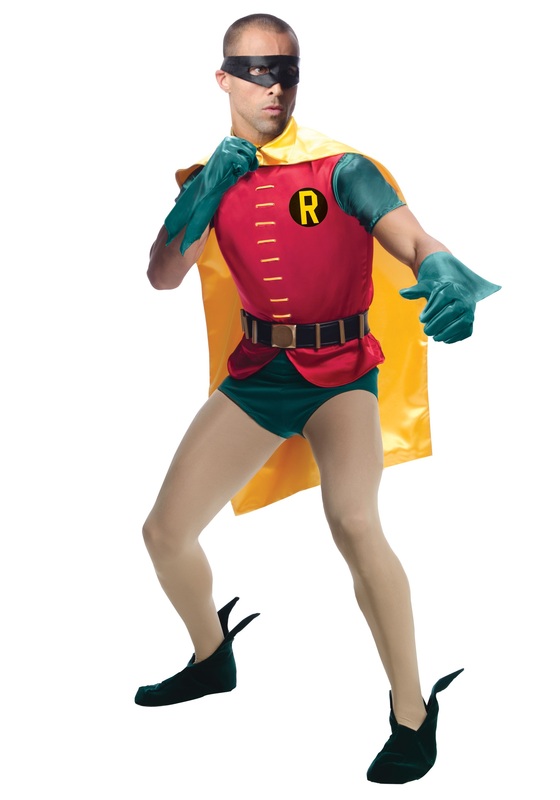 Now you can look just like the Boy Wonder himself when you wear this classic Robin costume based on the hit '60s TV show. You'll be set to "POW", "BANG", and "POP" your way to a truly amazing Halloween in this costume!